Instagram is the most popular visual social network in the world. One Instagram post will get you 58x the engagement of a post on Facebook. What can an Instagram campaign win for your brand? Discover the possibilities of social marketing campaigns on Instagram with our latest webinar, Visual Impact: Brands Winning with Instagram and Hootsuite Campaigns. Hosted by Richard Hungerford, the Director at Hootsuite Campaigns and CSpence Group’s Deyvis Rodriguez, the two social experts shared an insider’s perspective on running effective campaigns on Instagram. Learn how to design a hashtag to cut through the noise and reach your fans, the campaigns that can connect with Instagram’s 300 million users. Deyvis Rodriguez oversaw the #ilookup campaign for the American Institute of Architects, an Instagram campaign that nearly 70,000 pieces of original user-generated content. Watch the latest webinar from Hootsuite Campaigns to see how to reach and motivate your fans on Instagram. Richard Hungerford, the Director of Hootsuite Campaigns, showed viewers the power of user-generated content and how brands can turn any Instagram photo into sales with the power of social commerce. 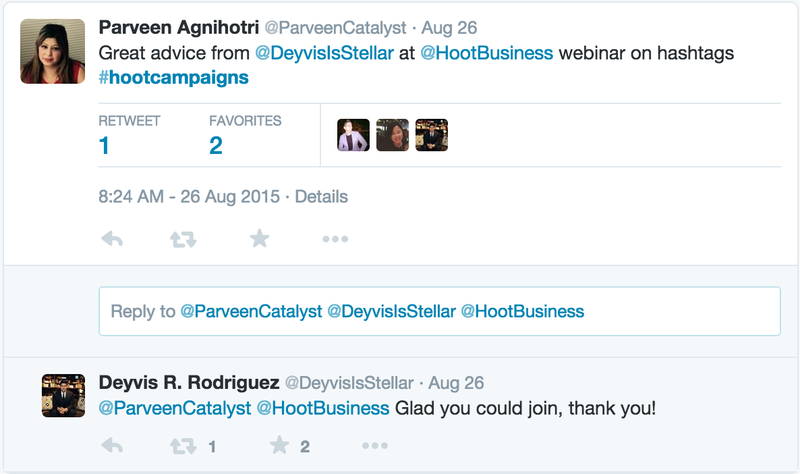 Of the more than 16 campaign types that are offered on Hootsuite Campaigns, more than a quarter of them involve Instagram. Richard walked audiences through when each campaign would best suit a company’s goals, and and how to maximize conversion of each one. Deyvis Rodriguez, the Business Director of the CSpence Group, lead listeners through #ilookup, the awareness campaign of the American Institute of Architecture. The Instagram Gallery asked entrants to take their most beautiful photos of city skylines and submit via the campaign hashtag. With over 67,000 photographs collected already and 90 million impressions made by all media, the webinar explores how and why this campaign shows no signs of slowing down. Sumari is the Campaigns Copywriter at Hootsuite. She writes white papers, guides, infosheets and case studies for Hootsuite Campaigns.